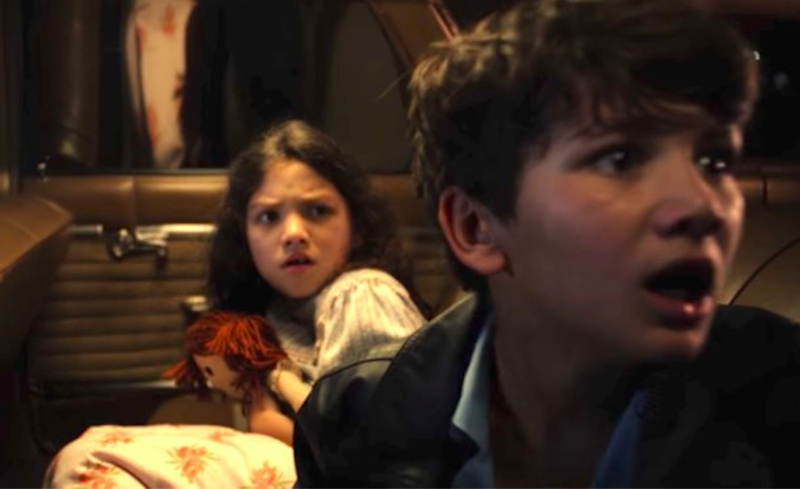 A trailer for new horror flick, The Curse of La Llorona, has dropped and it’s set to delight die-hard fans of the genre. If I told you about the weeping woman – the English translation of La Llorona – you might be confused with Picasso’s famous portrait. If you’re a philistine, you might just have it down as an example of alliteration. But to many Mexicans, the legend of La Llorona – that’s LAH-yoh-ROH-nah – is someone freaky enough to strike the fear of God into them. A huge part of Hispanic culture in the Southwest, since the days of the conquistadors, the tall, thin spirit is described – by those who believe in her – to be blessed with natural beauty and long flowing black hair. Wearing a white gown, she roams the rivers and creeks, wailing into the night and searching for children to drag into a watery grave. It makes sense then how it’s now a a feature film. No one really knows when the legend of La Llorona began or, from where it originated. Though the tales vary from source to source, the one common thread is she’s the spirit of a doomed mother who drowned her children and now spends eternity searching for them in rivers and lakes. La Llorona, christened ‘Maria’, was born to a peasant family in a humble village. Her startling beauty captured the attention of both the rich and the poor men of the area. She was said to have spent her days in her humble peasant surroundings, but in the evenings, she would don her best white gown and thrill the men who admired her in the local fandangos. The young men anxiously waited for her arrival and she reveled in the attention she received. However, La Llorona had two small sons who made it difficult for her to spend her evenings out, and often, she left them alone while she cavorted with the gentlemen during the evenings. One day the two small boys were found drowned in the river. Some say they drowned through her neglect, but others say they may have died by her own hand. Although the legends vary, the apparition is said to act without hesitation or mercy. The tales of her cruelty depends on the version of the legend you hear. Some say she kills indiscriminately, taking men, women, and children — whoever is foolish enough to get close enough to her. Others say she’s very barbaric and kills only children. Whatever the truth, it’s a pretty f*cking wild myth, which will still probably stop me from sleeping, whether or not I’m Mexican.